But Hey You Used to Speak in Tongues, So What Happened? 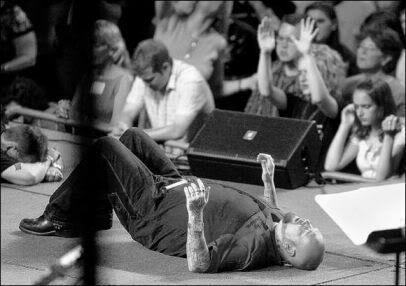 For many Reformed Christian friends who at one time were non-cessationists [and spoke in tongues as vibrant and enthusiastic charismatics] and later became cessationist, this is a very common question that always gets thrown your way. But like any answer to any question about any Christian practices we must always base our answers on what the bible says. So, do I still speak in tongues? Samuel Say answers…. 1. Is the gift of tongues a spiritual language? 2. Is the gift of tongues a form of prayer? 3. Can man speak in tongues whenever he wants to? 4. Is the gift of tongues for personal edification? 5. Is the gift of tongues active in the post-apostolic age? The majority, if not all who practice what they believe to be the gift of tongues as private prayer or as you put it ” in their alone time with God” believe the gift of tongues is a spiritual language. However, they are incorrect. The bible describes the gift of tongues as human languages. It is made clear in Acts 2:6-8 that the gift of tongues is human languages. Furthermore, the apostle Paul portrays the gift of tongues as human languages in 1 Corinthians 14:7-11. In addition, the Greek word translated as ‘tongues’ can be translated as languages. What is unique about the gift of tongues as opposed to speaking a language in general is that the gift of tongues was not learned by the speakers, it was miraculously given to those with the gift by the Holy Spirit. When one speaks in a language no one can understand, how can one benefit from it(1 Corinthians 14:8)? The gift of tongues was not intended for prayer. If one uses proper hermeneutics, he or she will find no relationship between the gift of tongues and prayer. Christ taught his disciples how to pray in Matthew 6:5-15, there was no mention of tongues, and it was for a good reason. Most of those who claim to speak in tongues believe they can do so whenever they desire to. However a careful study of Acts 2:4 reveals that the true gift of tongues is not of the will of man . In a similar fashion to prophecy, no practice of the gift of tongues “was ever produced by the will of man, but men spoke from God as they were carried along by the Holy Spirit”(2 Peter 1:21). One speaks in tongues only when the Spirit “gives him utterance”. The gift of tongues is not something to be turned on and off like a light-switch. It was used by the Spirit to give people revelation(1 Corinthians 14:6). When a person ‘speaks in tongues’ in private prayer the assumption is that it is for the individual’s edification. But the scriptures teach that the spiritual gifts are for the edification of others-not the individual with the gift(1 Corinthians 12:7, 1 Corinthians 14:12,1 Corinthians 14:22). If we practice that which is incorrect, it will not benefit us. Rather, it will harm us in one fashion or another. Succint, and very good. Thanks. Keep up the good work. It is a real blessing. I am saddened by this day’s blog. However, I do understand that when you’ve never truly spoken in tongues, you don’t truly understand it. I, at one point in my Christian journey, did not believe in speaking in tongues even though I was surrounded by many who did. I didn’t understand it until it happened to me. I had a 1 Cor. 14:2-4 experience. I was the unbeliever who was edified by speaking in tongues. I was not looking for it. It was not fake or pretentious. It was not my doing or my will but completely the will of the Holy Spirit. God is so much more real and alive to me now than I ever believed. God bless you. Just a point of correction. I too used to speak in tongues and had lots of experiences that made the hair on the back of my neck stand. But my experiences do not authenticate the work of the Holy spirit. We must be guided by scripture rather than experiences and to turn from scripture will lead to utter disaster. It is so nice to read about another person who used to speak in tongues until lead out of it to the truth by the Holy Spirit. I too spoke in tongues until I realized I just took man’s word for it and never read from the bible myself about it. I wrote about it on my blog site here, and I hope you check it out.